Leveling a job site is something that must be done as part of working at a quarry or mine, and even on many other construction sites. Heavy-duty graders – also commonly called road graders, maintainers and motor graders – are equipped with a long blade that is used to level out surfaces and make them flat. They are often used when paving roads and help prepare them for asphalt. But they also come in handy for those working in other industries as well. People who work on quarry and mining job sites are required to use graders on a regular basis to level out temporary roads needed to sustain operations. These graders can be used to create and maintain roads to get around the job site, maintaining a level path for vehicles and equipment. 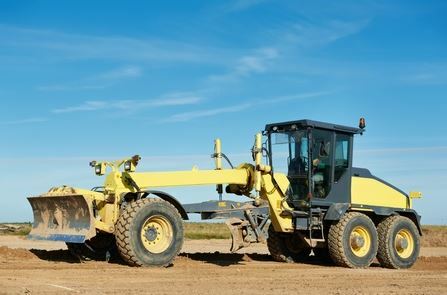 Graders can also perform preliminary work for paving more permanent roads at long-term projects. There are a number of companies, including Caterpillar, John Deere and Champion, that manufacture motor graders designed specifically for those who work on mining job sites. At Rackers Equipment, we offer a large selection of high-quality used graders built by some of the biggest names in the heavy equipment industry. Based in Jefferson City, Missouri, we help supply companies and contractors nationwide with mining and quarrying equipment large and small, allowing projects to be completed on time and on budget. We also offer comprehensive repair services – both on site and in shop – to keep your existing machinery running. Whether you’re looking for new or used equipment, you can find it all at Rackers Equipment. Shop our full equipment inventory online now, or call us today at 573-635-8700 for help finding any piece of machinery or equipment that you need.